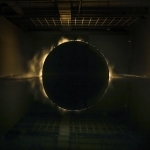 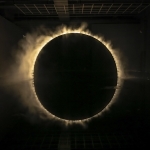 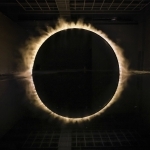 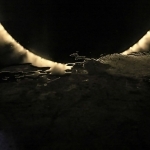 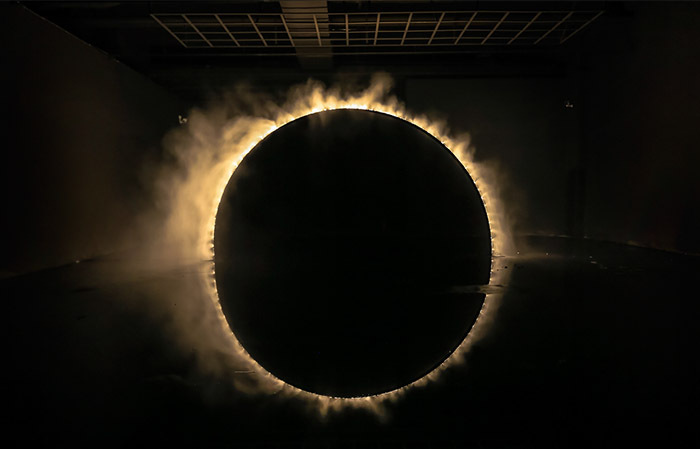 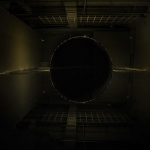 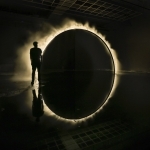 James Tapscott’s new artwork “Arc ZERO – Eclipse” is currently on display as part of Shenzhen BAY ART festival in China which opened on December 18th. 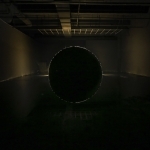 （BAY ART Shenzhen continues to Feb 20）Curated by Keith Lam of Hong Kong based Studio Movement, the exhibition encompasses 19 renowned international artists and 23 original artworks. 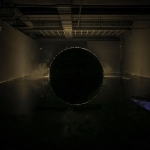 Connecting fashion with art, the exhibition opened in the new MIXC shopping mall adjacent to the ‘China Resources’ flagship building in the Shenzhen Bay area. 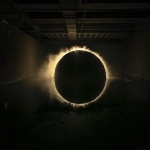 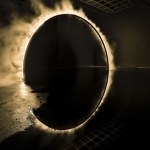 Tapscott’s work is an adaptation of his famous work from the Japan Alps Festival, which used a ring of mist and light to encircle a bridge at the entrance to a Buddhist Temple.